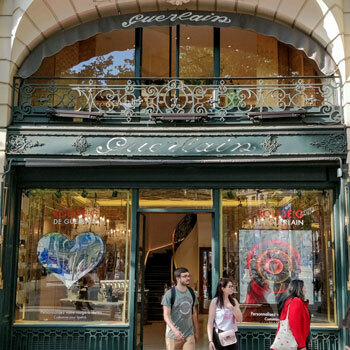 When visiting Guerlain’s flagship Champs-Elysées store in Paris, I took one of their historical Eau de Cologne home with me as a souvenir. I tried each blend from the 1853 Eau de Cologne Impériale to Thierry Wasser’s 2010 Cologne du Parfumeur. In the end, I opted for Jacques Guerlain’s 1920 Eau de Fleurs de Cédrat. 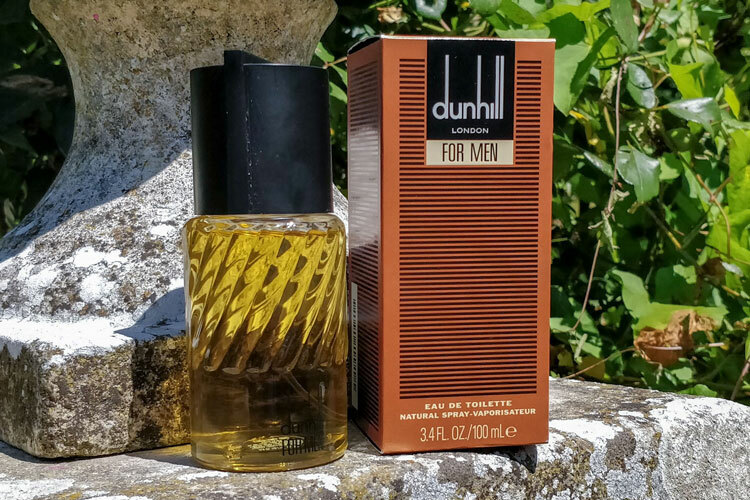 Having now worn it for a few days, I decided to run it through the Fragrance Formula to see how it fares. You can use the links above to jump ahead or just scroll down to read it all! Eau de Fleurs de Cédrat was created by Jacques Guerlain, the house’s third generation and most famous nose, in 1920. Inspired by the landscapes he saw while travelling along the French Riviera, he sought to create a blend that captured the essence of the Mediterranean. As such, Eau de Fleurs de Cédrat is a wonderfully refreshing Eau de Cologne. Today, it is featured in Guerlain’s “Les Eaux” collection where it is presented alongside Eau de Cologne du Coq, Eau de Guerlain as well as the other two concoctions listed above. Download the Guerlain Eau de Fleurs de Cédrat Fragrance Formula as a PDF. As a traditional eau de cologne, it’s no surprise that Eau de Fleurs de Cédrat is on the zesty side. As such, it’s a member of the Citrus Aromatic olfactive sub-family. However, you’ll soon learn that it’s quite light on the aromatics yet heavy on the citrus. On the first spritz, you’ll experience a burst of zesty citrus like never before. The fresh and crisp citrus bouquet is composed of a plethora of citrus varieties, which can be hard to pick out. In fact, it can be quite confusing as they’re highly volatile and hard to distinguish outside of a bouquet of zest. Whilst lemon and lime are indeed present, the most remarkable note is the citron. Note to be confused with the French for “lemon”, citron is an ancient citrus fruit with a thick and unsightly rind that smells quite sharp, zesty and herbaceous. Called “cédrat” in French, it’s what has earned the fragrance its name. There’s also a note that’s reminiscent of candied citrus fruit, which is tantalising and mouthwatering. Similarly, you’ll likely be able to pick out a hint of bergamot and perhaps some verbana and petitgrain. However, whilst they might be there, it could possibly be the citron playing mind games with you. In any case, the head is a remarkably harmonious blend of citrus fruit, rind and blossom. Overall, Eau de Fleurs de Cédrat is citrus in a bottle and gives you one of the most uplifting and refreshing spritzes you’ll ever experience! Where Are The Heart & Base Notes? Being an old-fashioned and traditional eau de cologne, Eau de Fleurs de Cédrat is very light with a low concentration of oils. Nevertheless, a lot of eau de colognes can feature hearts and bases, which may consist of lavender, moss or cedar wood. Yet, this particular blend is void of these and focuses solely on its unique and harmonious bouquet of citrus. Furthermore, the name can be misleading for non French speakers as “cédrat” both looks and sounds like “cedar”. Be sure to note that it doesn’t contain any whatsoever! When it came to marking up this blend on the Fragrance Formula, I was very much torn on how to approach it. At first, my instinct was to mark zero for the heart and base. However, I realised that this could greatly penalise the fragrance as it would immediately lose 20 points. As this won’t be the last eau de cologne we review, I thought that it would be more reasonable to instead mark the head out of the full potential 30 points. Hopefully, this allows it to be reviewed on a level playing field. Anyone hoping for a long-lasting citrus fragrance will have their dreams crushed when testing Eau de Fleurs de Cédrat. Traditional colognes are known to be very fleeting fragrances but Eau de Fleurs de Cédrat sets a new record. Whilst fragrances such as 4711 are very brief, they also feature other notes, which help extend their lifespan. Furthermore, they can often rely on synthetic compounds for better performance. Meanwhile, Eau de Fleurs de Cédrat features only citrus notes, which are among the most volatile, and it derived from natural ingredients. Therefore, it comes as no surprise it evaporates extremely quickly. Even after dousing yourself in a dozen sprays, you’ll be lucky if you get about 30 minutes of scent. That said, during this time, both the sillage and projection are quite reasonable. However, it’s important to remember that an Eau de Cologne isn’t something that you use as your regular fragrance, which we’ll talk about later. What Do People Think Of Guerlain Eau de Fleurs de Cédrat? Whatever the demographic, people seem to be smitten by Guerlain’s zesty cologne. With its natural composition of fresh notes, both men and women of all ages were whisked away to the Mediterranean. Furthermore, people often praised its high-quality and premium-smelling notes. Unlike a lot of fragrances that put a lot of accent on citrus but aim for longevity, Guerlain doesn’t resort to ingredients that are too synthetic. Even if those who tested it were disappointed by its very short lifespan, they still loved the scent. It proved to be particularly popular among older generations in their forties yet was still enjoyed by younger people too. Some even noted that it was a cruel trick played by Guerlain because it was so fleeting yet so lovely to smell. Firstly, it’s important to remember that a real eau de cologne isn’t a fragrance that you wear as a long-term scent. In fact, it’s actually something that used for for freshening up or to incorporate into your grooming regimen. Perfect for those hot summer months under the sun, a few sprays of this behind each ear help to cool down. Meanwhile, a lot of people swear by eau de cologne as a skin scent right after a shower. Whether it’s just to feel clean or to wake up your senses, Eau de Fleurs de Cédrat belongs in the bathroom. Furthermore, you could potentially spray it onto your clothes for a touch of freshness or onto a cotton pad for rubbing down sweaty and greasy skin. Otherwise, you could even use it to layer with your usual fragrance to help extend the notes. For instance, I like to spray on a few drops after a shower then layer it with Guerlain’s L’Homme Idéal EDP. I find it helps extend the bergamot and blood orange notes in the head as well as making it more suitable for the late spring. As for the time of day, Eau de Fleurs de Cédrat was made for the daytime. However, it could be used in those balmy summer evenings to help cool down and feel fresh again. Whilst Eau de Fleurs de Cédrat is indeed very elegant, the way it should be used renders it a very casual fragrance. Rather than for being reserved for formal events, it’s something to spray frequently just to feel good. Finally, eau de colognes are traditionally unisex fragrances that are worn by both men and women. Whilst they’re probably more popular among women these days, I’m a firm advocate for bringing them back into a gentleman’s grooming regimen. Eau de Fleurs de Cédrat is presented in Guerlain’s celebrated and famous bee flacon, which has been loyally used since 1853. Its historical importance goes back to when Pierre-François-Pascal became the Empress Eugénie’s official perfumer when he created Eau de Cologne Impériale. There are precisely 69 bees on every flacon and the top is modelled after Napoléon’s Véndôme column in Paris. 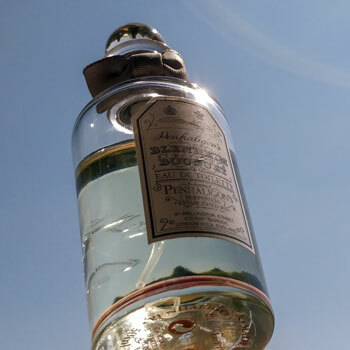 The bottle is indeed stunning with a wonderfully regal and old-fashioned aesthetic that doesn’t look dated. As for the atomiser, I’ve discovered that Guerlain mastered the device into an art-form and I wasn’t disappointed. Guerlain’s atomisers produce a fine mist that gently lands on the skin. This avoids over-application and makes the act of applying fragrances a pleasure every time. In terms of packaging, the box is quite understated. The white cardboard features a texture along the bottom that’s similar to the top half of a bottle. There are also golden details and lettering that give the fragrance’s name and blend. Finally, let’s talk about the value for money. I purchased this at full retail at 95€ from Guerlain’s flagship store. Given that it was a souvenir, I was okay with this. However, it is indeed an pricey fragrance especially for a fleeting eau de cologne. Nevertheless, you can pick it up for around $65 on Amazon, which is much more reasonable. Does it offer good value for money? If you’re expecting a long-lasting fragrance then absolutely not. However, I bought this as an eau de cologne for my grooming regimen and I’m extremely satisfied. Although it only lasts under an hour, smelling Eau de Fleurs de Cédrat feels like you’re one step closer to God. A masterfully blended eau de cologne, it would be a dream come true if Guerlain were to release an eau de toilette flanker. However, I doubt that will ever happen as it would undermine the original’s integrity. Therefore, I will continue to enjoy this to freshen up during those hot summer days! If this is something you want to introduce into yours, I highly recommend it and I’d even say it’s a safe blind buy as long as you’re away it doesn’t last long. Reviewed by Charles-Philippe, on 4th June 2018 . "An olfactive dream... ... If only it lasted longer. Nevertheless, this is one of the most refined eaux de cologne I've ever had on my skin." Can I layer this with another citrus scent or would they clash? It really depends on the type of citrus in the fragrance. For instance, it smells fantastic with L’Homme Idéal‘s bergamot but clashes horribly with the lime in Penhaligon’s Blenheim Bouquet. I’d say that it layers best against softer citrus heads for a refreshing extension of their notes. I love Guerlain and I was hesitating to choose between their famous range of eau de cologne. Thanks for swaying my decision! With pleasure! Looking forward to hearing your own thoughts on it soon! Mmmmm, sounds delicious. Hadn’t heard of this fragrance before so thanks for bringing it to our attention! It is indeed a very flavoursome fragrance!